The Salter Labs 15 Inch Oxygen Tubing is a short connecting oxygen tubing that bridges connections to humidifier bottles through the form of an adapter. The connecting tube is quite universal and can fit most any humidifier bottle with a screw-type connection. The Salter Labs SO-676 Clear Oxygen Tube is made with a ribbed connector to offer a secure and snug fit without damaging connecting points to the adjoining tube. 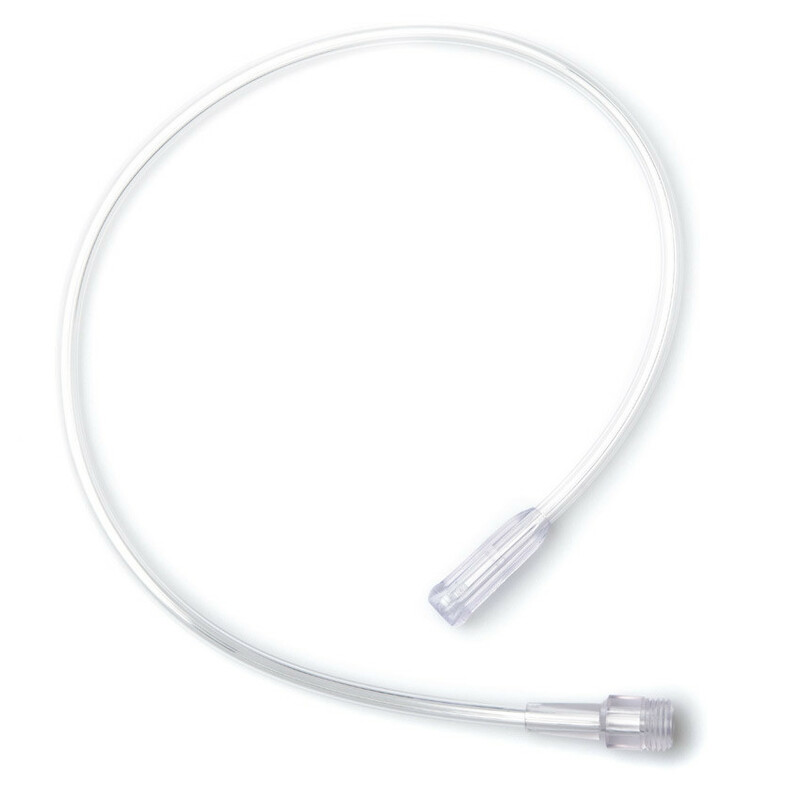 The clear color of the tube allows you to see the oxygen tube rated for oxygen concentrator use if any blockage or breakage was to occur within the tube itself. While the Salter Labs 3 Channel Tube with Male Thread Grip is only 15 inches in length - the Salter Labs SO1790 is available at 21 inches, with the same features and benefits. Cleaning the oxygen humidifier bottle connection tube can be achieved by running a warm water or saline solution through the tubing, it must be replaced every so often; depending on usage. If you are needing a new humidifier bottle, you may be interested in the Low Flow 350cc Bubble Humidifier. We have 25 and 50 foot tubing currently available. Other sizes may be able to be special ordered. Please call us at 800-397-5899 to speak with a customer service representative who may be able to help you place a special order.